International rugby is braced for the biggest change in modern history with plans to create a World League that will see Japan and the USA join the Rugby Championship, but leave Pacific nations out in the cold. The move is set to be signed off as early as next month. The New Zealand Herald understands that a 12-team World League has captured the imagination of the leading nations and that an unknown broadcaster has already tabled an offer to finance the concept in a deal that will be worth around $10 million-$14 million a season for each nation. The 12 nations will be the current Six Nations - England, France, Italy, Scotland, Ireland and Wales - the current Rugby Championship sides of New Zealand, Australia, South Africa and Argentina plus Japan and USA who are going to be invited to join the Rugby Championship. The Six Nations will travel south to each play three tests. These will be randomly allocated so England, for example, could find themselves playing Japan, Australia and New Zealand while Wales could be off to Argentina then South Africa and New Zealand. The Rugby Championship will then kick off in August and will be a straight round-robin. The World League will then be completed by the southern sides travelling north in November to play the three teams they didn't play in July. The top four teams on the table will then play a semi-final and final in the Northern Hemisphere. The proposal suggests that the playoffs could take place in major grounds such as the Nou Camp in Barcelona or Soldier Fields in Chicago where the All Blacks have played twice before. The Herald understands that there is a provisional agreement for the broadcast rights and they will see each union net anything between $10 million to $14 million a year of additional revenue. If this is all agreed it will mean the All Blacks will have a guaranteed 13 tests a year in non-World Cup seasons. They have played 14 tests in each of the last three years. 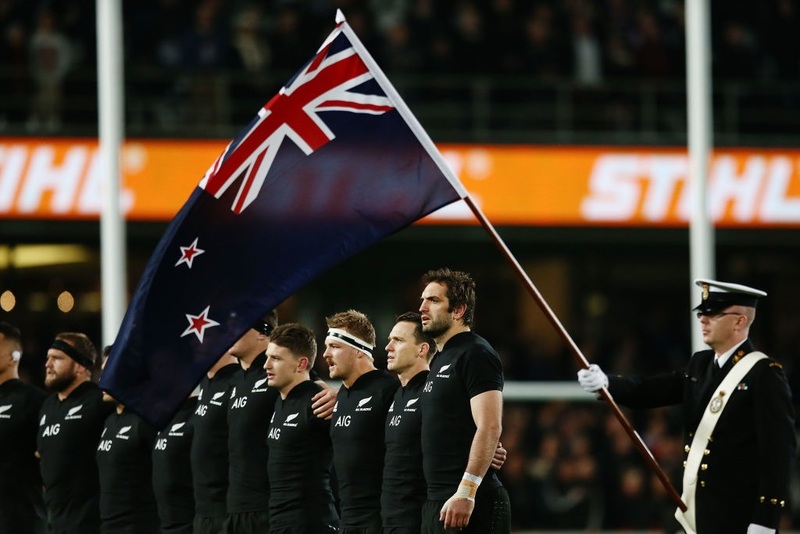 But while the actual number of games could be less - NZR may still want to negotiate another Bledisloe Cup fixture as the new format will only see the All Blacks clash once with the Wallabies - the amount of travel could be significantly higher. There will also be concerns about the All Blacks potentially playing five big tests in Europe at the end of each season, plus the fact the season could drag into December will be a concern. • Usual three tests in July against Northern Hemisphere sides. • Rugby Championship to include USA and Japan and revert to straight round-robin format. • All Blacks to play three more tests in Europe in November [against the three Six Nations teams they didn't play in July]. • Semi-final and final of World League to be played in November/December in Europe/USA which means All Blacks could play five weeks in succession.